N 50° 47' 56" and W -1° 5' 28"
Portsmouth in Portsmouth (England) with it's 194,150 habitants is located in United Kingdom about 64 mi (or 104 km) south-west of London, the country's capital town. Current time in Portsmouth is now 10:12 PM (Wednesday). The local timezone is named Europe / London with an UTC offset of one hour. We know of 11 airports close to Portsmouth, of which 5 are larger airports. The closest airport in United Kingdom is Bembridge Airport in a distance of 8 mi (or 14 km), South. Besides the airports, there are other travel options available (check left side). There are several Unesco world heritage sites nearby. The closest heritage site in United Kingdom is Dorset and East Devon Coast in a distance of 7 mi (or 12 km), South-East. Also, if you like playing golf, there are some options within driving distance. We encountered 3 points of interest near this location. If you need a hotel, we compiled a list of available hotels close to the map centre further down the page. While being here, you might want to pay a visit to some of the following locations: Bembridge, Newchurch, Cowes, Newport and Northwood. To further explore this place, just scroll down and browse the available info. Let's start with some photos from the area. 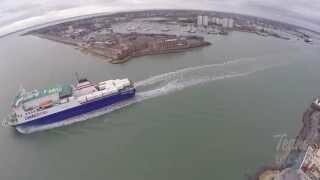 A short video of the Round Tower in Old Portsmouth and Portsmouth Harbour entrance viewed by quadcopter. -------------------------- Team Locals: http://teamlocals.co.uk. 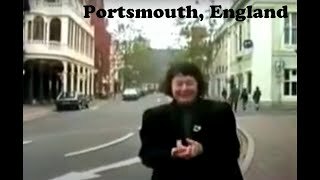 Visitando a cidade de Portsmouth, situada no sul da Inglaterra. 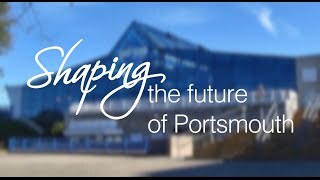 The 2014 Shaping the future of Portsmouth conference took place at the newly renovated Pyramids Centre in Southsea on Monday 17th November. Speakers included Matthew Hancock MP, Jonathan. 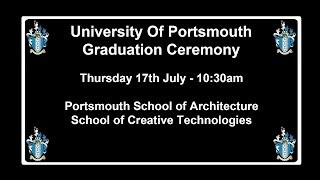 Portsmouth School of Architecture School of Creative Technologies. First Great Western 158 953 arrives with 1F13 from Cardiff and departs for the return trip with 1F26 on 18 september 2012. The Tricorn Centre was a Brutalist shopping, nightclub and car park complex in Portsmouth, Hampshire, England. It was designed by Owen Luder and Rodney Gordon and took its name from the site's shape which from the air resembled a Tricorne hat. Constructed in the mid-1960s, it was demolished in 2004. It was home to one of the first Virgin Megastores and housed the largest Laser Quest arena in Europe. Located at 50.8026, -1.09003 (Lat. / Lng. ), about 0 miles away. The Fortifications of Portsmouth are extensive, due to its strategic position on the English Channel and role as home to the Royal Navy. For this reason Portsmouth was by the 19th century one of the most fortified cities in the world. The fortifications have evolved over the centuries in response to changes in tactics and technology. The area covered by the defences has also increased. Located at 50.799, -1.091 (Lat. / Lng. ), about 0 miles away. Portsea Island is a small, flat and low lying island just off the south coast of England. The island is totally within, and contains a large proportion of, the city of Portsmouth. It has the third-largest population of any island in the British Isles, after the mainlands of Great Britain and Ireland. To the east lies Langstone Harbour, and to the west is Portsmouth Harbour. To the south it faces into the Solent. Located at 50.7924, -1.09194 (Lat. / Lng. ), about 0 miles away. 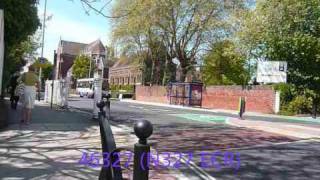 The University of Portsmouth is a university in Portsmouth, Hampshire, England. It was created in 1992, from Portsmouth Polytechnic. The University is a member of the University Alliance. Located at 50.7953, -1.0936 (Lat. / Lng. ), about 0 miles away. The Breeze is a United Kingdom radio station, broadcasting to the cities of Portsmouth, Southampton and Winchester. The station is operated by Celador and is part of The Breeze network of stations. It is aimed at upmarket 40-59 year olds, playing classic and contemporary easy listening music with a slight female bias. It broadcasts from Roman Landing in the Kingsway area of Southampton, sharing facilities with sister regional station 106 Jack FM. Located at 50.8053, -1.08267 (Lat. / Lng. ), about 1 miles away. Her Majesty's Naval Base (HMNB) Portsmouth is one of three operating bases in the United Kingdom for the British Royal Navy,. Portsmouth Naval Base is part of the city of Portsmouth; it is located on the eastern shore of Portsmouth Harbour, north of the Solent and the Isle of Wight. The base is home to the oldest dry dock in the world, as well as being the headquarters for two thirds of the Royal Navy's surface fleet. Located at 50.8044, -1.10242 (Lat. / Lng. ), about 1 miles away. Gunwharf Quays is an area of Portsmouth, Hampshire, now home to a large shopping centre. Located at 50.7949, -1.1058 (Lat. / Lng. ), about 1 miles away. 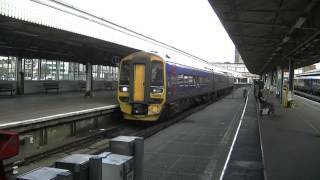 Portsmouth and Southsea railway station is the main railway station in central Portsmouth in Hampshire, England. It is close to the Commercial Road shopping centre. British Transport Police maintain a presence at the station. There is a taxi rank at the front of the building and regular local buses within five minutes walking distance. Ticket barriers are in operation. The station is managed by South West Trains. Located at 50.7984, -1.09039 (Lat. / Lng. ), about 0 miles away. 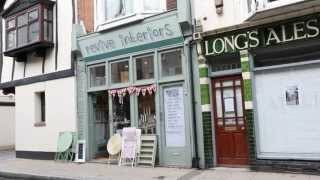 Knight & Lee is a department store in Southsea, Hampshire, England. The store was acquired by the John Lewis Partnership in 1934. The store's origins can be traced back to 1831 with the lace business conducted by William Wink near Portsea Docks. The shop was taken over by Frederick Wink in 1865 to trade as Wink & Co. The business moved to its present Palmerston Road site in 1874 and was bought by Jesse Knight and Herbert Soden Lee, two experienced drapers from London, in 1887. Located at 50.785, -1.0883 (Lat. / Lng. ), about 1 miles away. United Services Portsmouth F.C. are a football club based in Portsmouth, Hampshire, England. They were established in 1962 and were among the founding members of the Wessex League in 1986. In 2004, they changed their name from Portsmouth Royal Navy to their present name. They are currently members of Wessex League Division One. Located at 50.7942, -1.1008 (Lat. / Lng. ), about 1 miles away. The Royal Portsmouth Hospital in Portsmouth, England was sited in Commercial Road close to the shopping centre and near to the Portsmouth Dockyard. The hospital closed on 1 October 1978, with all its facilities having been transferred to the Queen Alexandra Hospital in Cosham. The former hospital was demolished and the site developed by Sainsbury's, who now have a superstore there. Located at 50.801, -1.089 (Lat. / Lng. ), about 0 miles away. Somerstown is a residential area of the city of Portsmouth in the English county of Hampshire. The area was developed during the 1820s, on land owned by Mr Somers, and was heavily bombed during World War II. After the war, the majority of what remained of the area was demolished to make way for social housing. A very run down area of the city, due for redevelopment. Located at 50.7928, -1.08584 (Lat. / Lng. ), about 0 miles away. The Roman Catholic Diocese of Portsmouth is a Latin Rite Roman Catholic diocese in England and covers Hampshire, the Isle of Wight, the Channel Isles and parts of Berkshire, Dorset and Oxfordshire. The episcopal see is the Portsmouth Cathedral and is headed by the Bishop of Portsmouth. The diocese is part of the metropolitan Province of Southwark, which covers all of the far South of England. Landport is a district located near the centre of Portsea Island and is part of the city of Portsmouth, England. The district contains the main shopping area for Portsmouth. Before World War II the district was also a residential area, mainly catering for employees of the naval dockyard and their families. The district was heavily damaged by bombing during the war. After the war the decision was made that most of the remaining houses were substandard and the area was largely cleared. Located at 50.803, -1.087 (Lat. / Lng. ), about 0 miles away. King James's and Landport Gates are two English Heritage sites in Portsmouth, Hampshire, England. The ornate gateways were originally access points to Portsmouth through the town walls. The majority of the town walls were demolished in 1860. Located at 50.7951, -1.09869 (Lat. / Lng. ), about 0 miles away. Portsmouth Guildhall is the biggest events venue in the Hampshire city of Portsmouth in England. Located at 50.7977, -1.09289 (Lat. / Lng. ), about 0 miles away. St Ann's Church is an Anglican chapel within Her Majesty's Naval Base Portsmouth. It is regarded as the spiritual home of the Royal Navy, and contains numerous memorials to men lost at sea. The original church was built in 1704, on the site of what is now Admiralty House. The present church was opened in 1786, and is built in red brick in Flemish bond. It was possibly designed by Marquand, a Navy Board surveyor, working under Samuel Wyatt at Admiralty House. Located at 50.8012, -1.10495 (Lat. / Lng. ), about 1 miles away. The Breeze is an independent local radio station broadcasting to the Southampton, Portsmouth, Winchester and Four Marks areas of Hampshire, England. 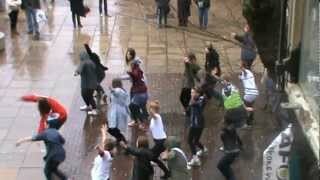 It is owned by Celador Radio and is part of The Breeze network of stations. The station has a 'contemporary easy listening' format, playing classic and recent melodic popular music aimed principally at listeners over 40. St Agatha’s Landport is an historic church in the Landport district of Portsmouth. Located at 50.8023, -1.09219 (Lat. / Lng. ), about 0 miles away. The Portsmouth and Southsea Synagogue, also known as the Portsmouth (and Southsea) Hebrew Congregation, is an Orthodox Jewish synagogue located in Elm Grove, Southsea in Portsmouth, England. It is one of the oldest Jewish congregations in England. It was founded c. 1747 and had a rabbinate of its own. During the Napoleonic wars, the commercial activity of Portsmouth as a garrison and naval town attracted a large number of Jews. In 1780, a synagogue was built in White’s Row. Located at 50.789, -1.086 (Lat. / Lng. ), about 1 miles away. The Greyhound was a Public House (popularly known as "The Spotted Dog"), in High Street, Old Portsmouth, famous as the site of the murder of George Villiers, 1st Duke of Buckingham in 1628. Located at 50.7915, -1.10079 (Lat. / Lng. ), about 1 miles away. The United Services Recreation Ground is a sports ground situated in Burnaby Road, Portsmouth, Hampshire, England. 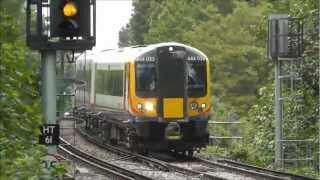 The ground is also bordered to the north by Park Road, along which the railway line to Portsmouth Harbour and Gunwharf Quays overlooks the ground, and to the east by Anglesea Road. The southern end of the ground is dominated by the Officer's Club building, which overlooks the ground. The ground is owned by The Crown. Located at 50.7959, -1.0973 (Lat. / Lng. ), about 0 miles away. Victoria Park is a public park located just to the north of Portsmouth Guildhall, adjacent to Portsmouth and Southsea railway station and close to the city centre in Portsmouth, Hampshire. It was officially opened on 25 May 1878 and was the first public park to be opened in Portsmouth. It was designed by Alexander McKenzie. It has a total area of around 15 acres and is planted with trees, shrubs and flowers. The Breeze is a network of Independent Local Radio stations broadcasting to Hampshire, West Berkshire, Bristol, Somerset, Dorset and West Wiltshire. The stations, owned & operated by Celador Radio, broadcast a 'contemporary easy listening' format, playing classic and recent melodic popular music aimed principally at listeners over the age of 40. The Breeze network operates on various FM frequencies and is also online at thebreeze. com. Ladywood House is a residential apartment skyscraper in Portsmouth, England. When completed in 1971, it was the tallest building in the city, until 2004 when it was surpassed by 1 Gunwharf Quays. Located at 50.7955, -1.0869 (Lat. / Lng. ), about 0 miles away. These districts belong to Portsmouth. These are districts that are close by, but belong to a different city than Portsmouth. These are some bigger and more relevant cities in the wider vivinity of Portsmouth. Benn Clatworthy, World Class Sax From Los Angeles! 2 PUNK 2 TWERK - Room 2 Of SIN!